A showcase of southwest Missouri interior designers' most impressive work including kitchens, mudrooms, bathrooms and more. Photo by Jeremy Mason McGrawNathan Taylor of Obelisk Home designed this room, winning Best Living Space. This is one of three seating areas designed so that guests can enjoy views of the landscaped backyard. Good home design strikes the perfect balance between beauty and function, creating spaces that demand to be looked at in awe and lived in comfortably. That’s exactly what this feature does, too: You’ll admire the beautiful spaces, and picture yourself living in these dream rooms. 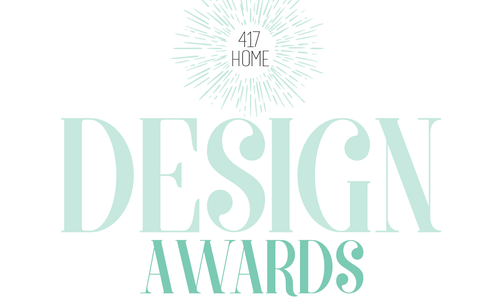 Last winter, we asked all of southwest Missouri's interior designers to show us their best projects for our annual 417 Home Interior Design Awards contest. We collected all 92 entries and sorted the gorgeous and innovative designs to send to the Atlanta Georgia ASID Chapter. A group of nine designers judged each project based on aesthetics, design skill and narrative explanation. 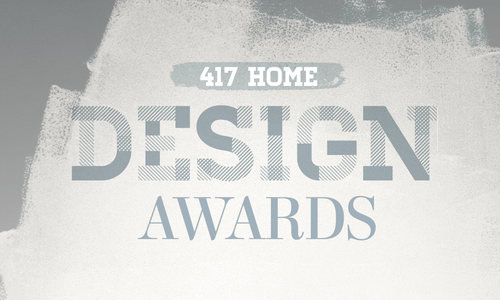 We received the highest-scoring entries and our Creative Director, Heather Kane, toured each finalist’s home in person to take in the beauty and functionality for herself. Get lost in the photos, and then start planning your very own dream space. See the runners up here. PROJECT GOAL: The kitchen needed to reflect the homeowners’ colorful personalities and eclectic style. The challenge was figuring out how to create a bold design that was timeless and didn’t overwhelm the home’s open floor plan. To create balance in this new construction kitchen, designer Nathan Taylor went bold. As colorful and eclectic as the finished product appears, the initial inspiration was timeless: a black-and-white tile floor. To give this age-old look a modern face-lift, Taylor rotated each tile to create a slight optical illusion. Then Taylor suggested bringing in pops of teal and emerald green on the island and kitchen backsplash. “People told us we had lost our minds,” he says. “The owners originally wanted the backsplash to disappear, but it’s such an important wall, so I suggested we go with a bold color.” Five colors were blended together to achieve the rich hue Taylor wanted. 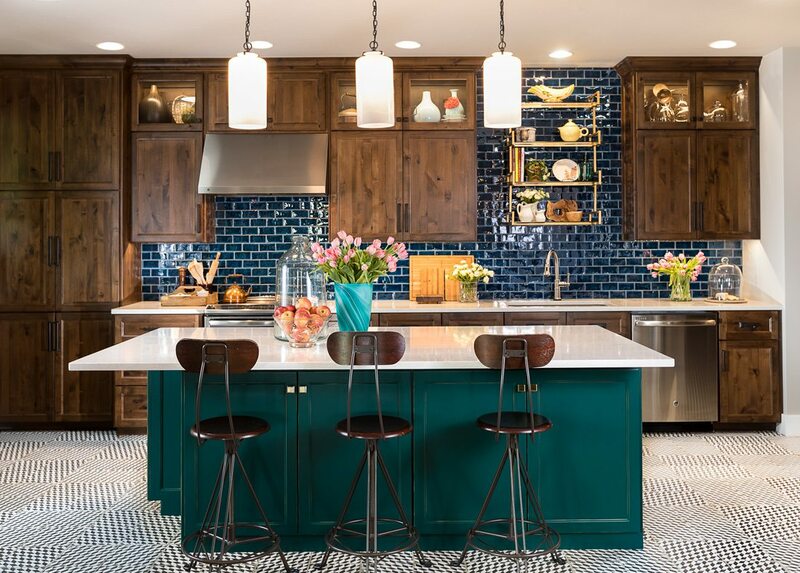 To balance the burst of color, Taylor installed oversized handmade glass tiles in Bastille blue for the backsplash. Although the two shades are not a perfect match, they complement each other and are grounded by the black and white tile that started it all. Taylor kept the rest of the design elements simple so they could flow throughout the space without clashing. Chandeliers reminiscent of milk glass were hung above the island, which serves as extra storage for cookware and cookbooks. And the alder wood cabinets were treated with a stain mirroring the color of the hickory floors in the adjacent living room. 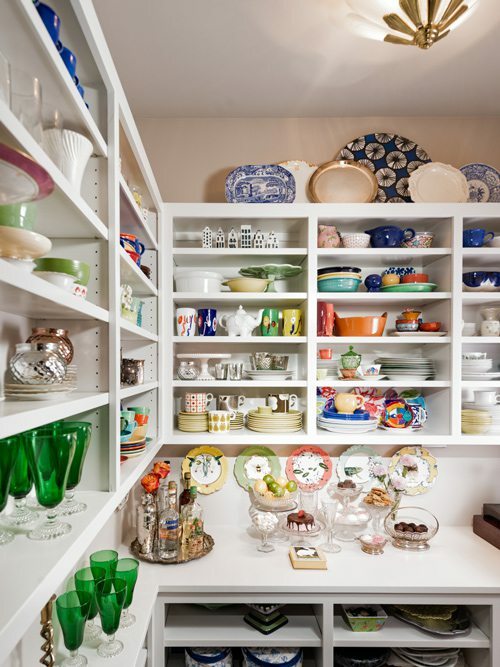 Above the sink, Taylor added shelving to display the homeowners’ collection of family heirlooms and trinkets. For hardware, Taylor used a mix of brushed brass and paint to give the kitchen that last touch of eccentricity and personalized style. It was a bold design but one Taylor thinks will stand the test of time.—E.B. Photos by Holmes Photography The streamlined geometric look of a grid wall is softened by smoothly curving chairs and a midcentury-style chandelier. The fact that Haden Long named her interior design firm Ellecor should come as no surprise to anyone who has worked with her. Combining her daughter’s first name, Elliot, with one of her passions—decor—was just the touch she needed to emphasize the personalized experience her clients would receive. In fact, that same attention to the homeowner has left many lasting impressions during the past five years in business. 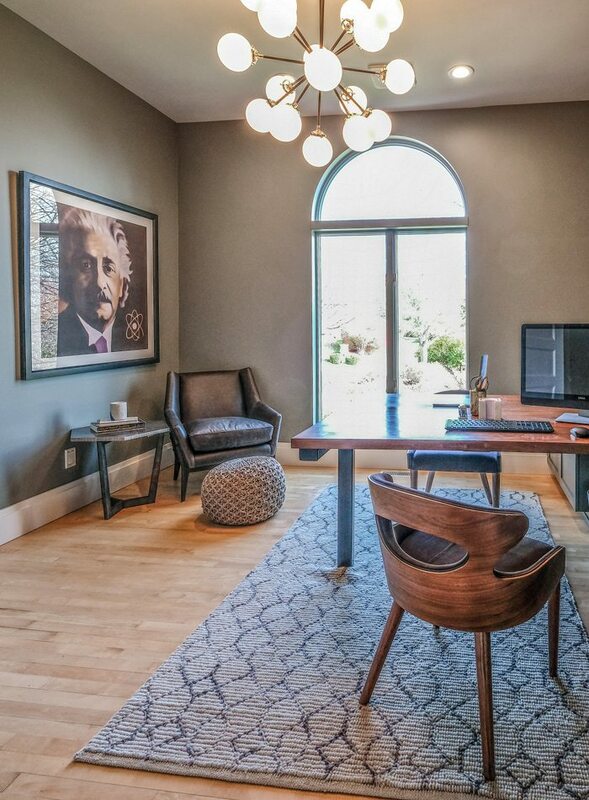 Take this modern home office, for instance, remodeled at the request of a repeat client. With the homeowner’s midcentury aesthetic already showcased throughout the rest of the interior, the look had to be streamlined. The first step was to clean out what had become a catchall side room, giving Long a fresh perspective to address the project’s main goal: creating a functional space where the homeowner and his kids could work in tandem. 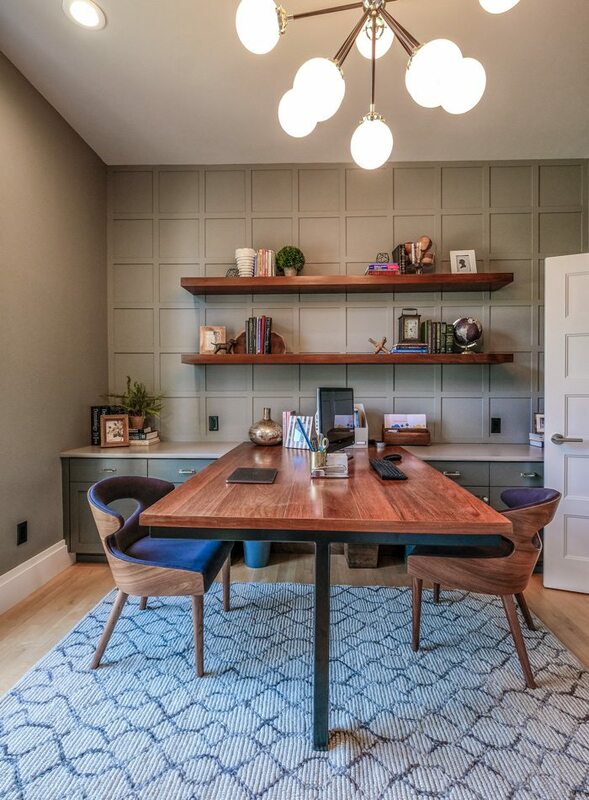 The solution was to fabricate a dual-sided desk, but the problem was the room’s original layout, with one bowed wall, a floor-to-ceiling window on another and built-in bookshelves where the floating shelves are now. So Long demolished the coveted built-ins—unnecessary to a clutter-free lifestyle—and had cabinets custom-made with enough room to insert a stunning 6-foot-by-4-foot hunk of exotic ipe wood that was pieced together like butcher block. Quartz countertops offer durability, and a single metal leg supports the desktop and keeps the area open. Long installed a three-dimensional grid pattern on the south wall to balance huge statement art on the north one. She selected furniture that stays true to the muted color palette and modern style of the space and brought in a Sputnik chandelier and rug to brighten and soften an otherwise masculine feel. Each of these elements adds visual interest and a bit of quirkiness. “We made it look a little more fun than a typical executive office,” Long says. “I love the way it turned out.”—J.A. Photos by Jeremy Mason McGrawNathan Taylor designed a neutral bedroom that highlights the owners’ love of midcentury decor. PROJECT GOAL: While giving the rest of this home an upgrade, Nathan Taylor decided to address the cramped bedroom. But to create a true master suite, Taylor had to increase the home’s footprint. In doing so, he set out to create a neutral bedroom that highlighted the owners’ love of midcentury decor and provide them with a reading space separate from the home’s main living areas. This inviting master bedroom was not part of the original plan when updating the home. It wasn’t even part of the original structure. The bedroom and its adjacent reading nook are part of a new expansion that gave the owners’ bedroom a serious bump up in size. 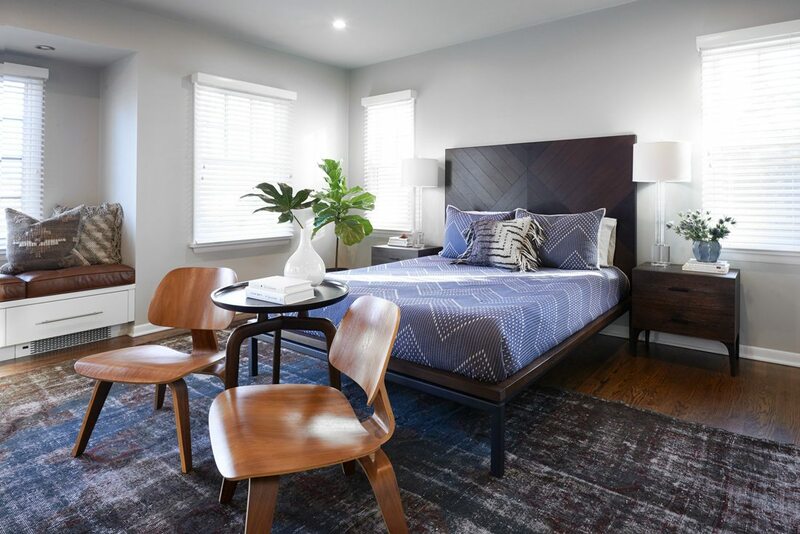 “The original master bedroom was much smaller than this,” says designer Nathan Taylor, which might be a bit of an understatement considering the old bedroom is now a walk-in closet. 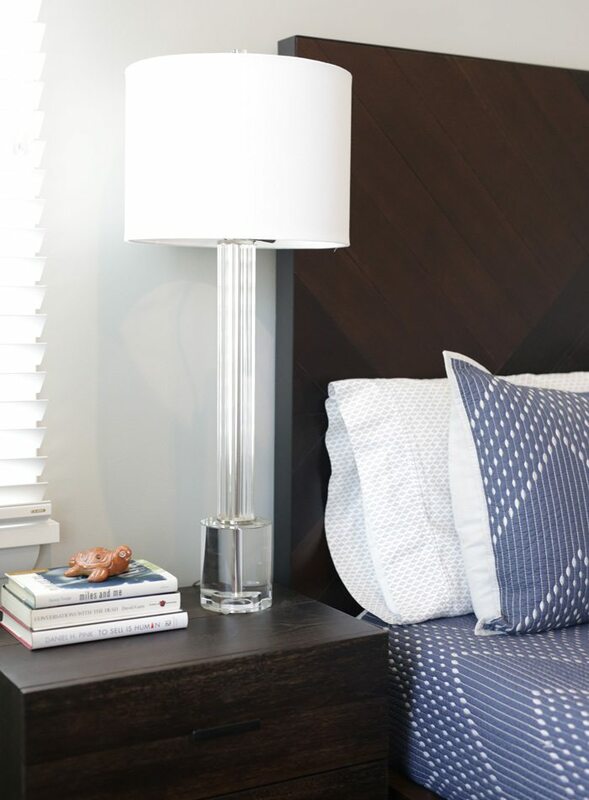 To create a relaxing and fresh atmosphere, Taylor swathed the new bedroom in an understated color palette of pale grays and various hues of blue and brown. By keeping the colors to a minimum, the couple’s midcentury chairs can serve as a focal point. On the other side of the room, Taylor created a book-lined snug flanked with three new windows and a gas fireplace. But the best part might be one of the simplest additions. With a little ingenuity, Taylor added an extra-long window seat along the far wall. Having a window seat had always been a dream of the husband’s, so Taylor couldn’t resist creating a bench long enough for the husband and wife to enjoy at the same time. It just goes to show that coloring outside the lines can sometimes pay off big.—E.B. Photo by Jeremy Mason McGrawTransforming this 16-by-12-foot space into a functional music room took some creative engineering. PROJECT GOAL: When a family already has a cozy living room and isn’t in need of an office, what do you do with the extra room nearby? Turn it into a music room! 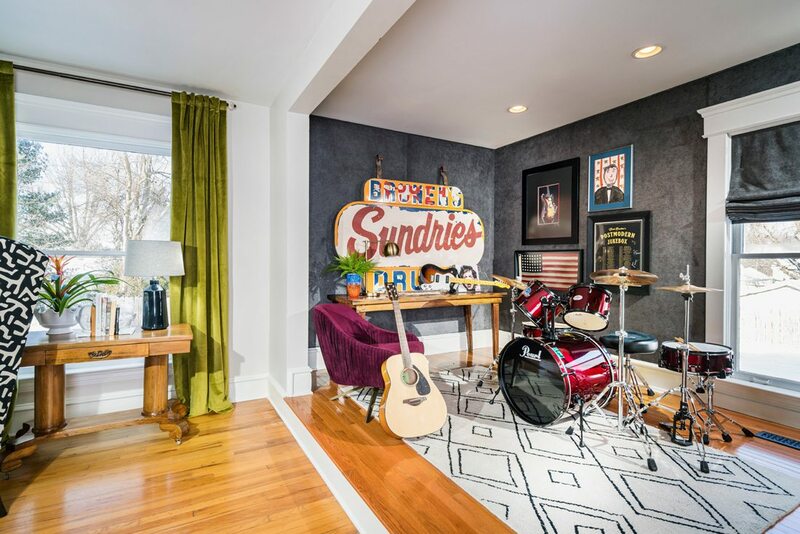 Instead of relegating the kids’ instruments to the basement, this music room brings the family’s collection of instruments into the main living quarters. The challenge was containing noise and adding an adult style to the children’s band space. Moving into a new home can provide you with an opportunity to discover new ways to display family treasures. For this young family, that meant creating a new music room where a drum set, guitars and keyboard could blend in with everyday life. But transforming the 16-by-12-foot space into a functional music room would take some creative engineering. To give the cozy room the pomp and circumstance of a true music studio, designer Nathan Taylor tore out the original flooring, raised the room one step and installed hardwood floors. “It looks and feels like you’re on a stage,” Taylor says. Those watching the performance are likely sitting in the adjacent living room. The close quarters to the family’s main living space raised questions about how to tamp down noise. Instead of closing off the new room with double doors, Taylor lined the walls with brushed velvet chenille. The light gray fabric absorbs some of the noise kicked up during band practice, and the neutral color scheme allows the room to fade into the background when guests are sitting in the living room. Even the window treatments were done in the soft, washable chenille. The durability of the fabric was a big determining factor in its selection. With young boys filtering in and out of the music room, the wall treatment needed to endure the stresses of everyday life. Taylor also wanted the room to be a showcase of the family’s most loved mementos. Pieces of family artwork, heirlooms and mementos were added throughout the space and lend a more sophisticated atmosphere to a room primarily used by the children. The drawing of Abraham Lincoln was one of the mom’s class projects in grade school, and the drug store sign was taken from an old family business in Greenfield, Missouri. “That’s the fun part of what I get to do,” Taylor says. 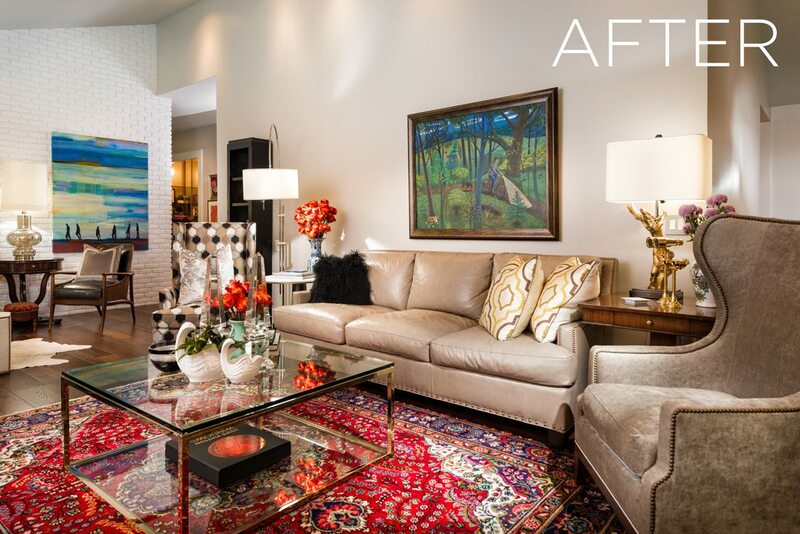 “Sometimes you don’t sell them new furniture or decor, but you get to create something new and exciting with pieces the client already has.” Even those plush velvet chairs belonged to the family before they were added to the music room. 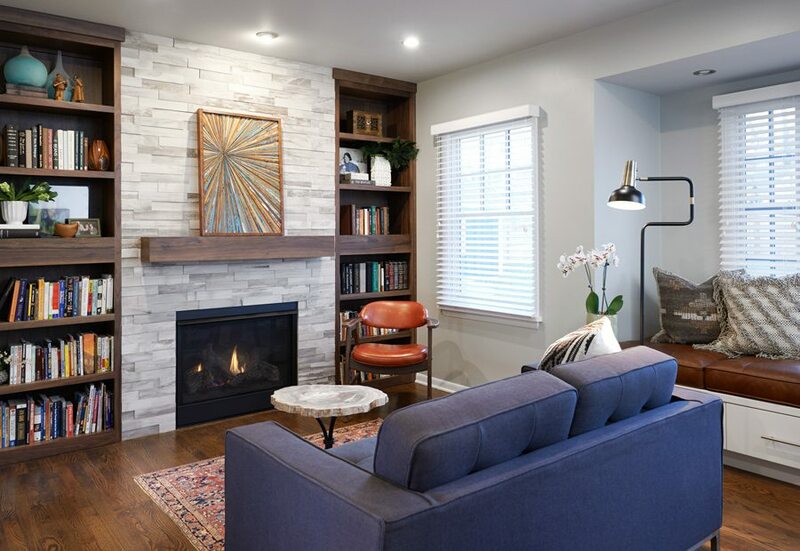 The pop of color and extra layer of texture was the finishing touch to a creative space that highlights the family’s history and interests.—E.B. Photo by Gayle Babcock with Architectural Imageworks LLCUsing bits of gold, an antique mirror, a duck-head towel holder and mismatched hardware, Susie Edie successfully combined glamour and whimsy with old and new. There are no rules in design, but there is one thing interior designer Susie Edie always does in every room before a makeover is complete. She adds a little black. 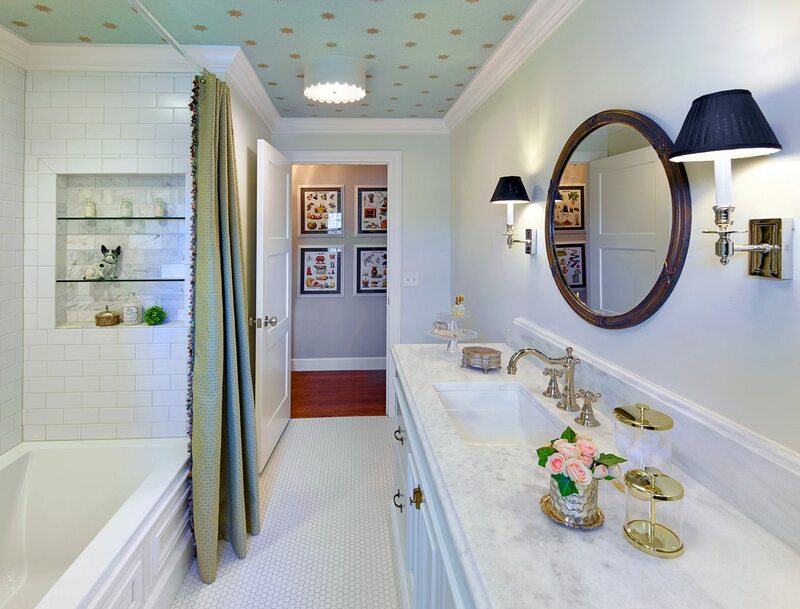 Edie started incorporating the shade three decades ago when she started her career, and now, as interior designer of Rock Solid Renovations, it’s how she unexpectedly elevates the look of all her spaces, including this guest bathroom in the home of one of her Springfield clients. But the lampshades on the sconces aren’t the only reason this project is a color sensation. Check out the ceiling. With that restriction lifted, Edie and Rock Solid Renovations lead designer Jeremiah Lee noted the homeowner’s non-negotiables—shiplap siding, hex tile, honed white marble and a large soaking tub—and got to work. The room’s original layout met the client’s needs, with the exception of an obtrusive pony wall between the tub and toilet, so it was demolished to allow for the large soaking tub. Next, a custom-built, furniture-like vanity was installed using honed marble to provide a matte finish on the countertops. On the room’s only exterior wall, shiplap siding adds visual interest, drawing the eye from the entry all the way across to the window. After those three main improvements were complete, all that remained was to lay the hex tile, insert some linens storage and accessorize. Using bits of gold, an antique mirror, a duck-head towel holder and mismatched hardware, Edie successfully combined glamour and whimsy with old and new. As for the wallpaper on the ceiling? It’s just the unexpected pop of color that was needed to mesh all aspects of this texture-filled wonderland and leave the homeowner’s friends and family with an unforgettable trip to the loo.—J.A. Photos by Jeremy Mason McGraw Instead of forcing a cramped floor plan to work, designer Nathan Taylor and his team simply moved the kitchen. PROJECT GOAL: When the homeowners moved in, they knew they needed a much larger kitchen. They wanted something contemporary in design with plenty of functionality. But upgrading the original space wouldn’t get them what they needed. 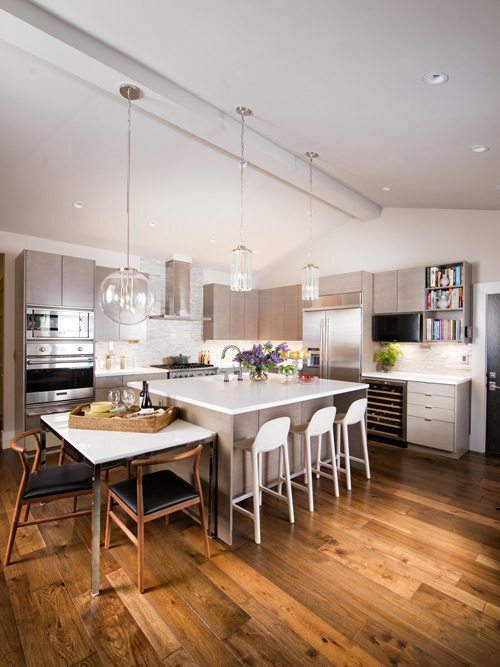 To create a whole new kitchen with plenty of space and a timeless design, Nathan Taylor gutted the family room and transformed it into a modernized kitchen with a dish pantry and triangle workflow. Whoever came up with the phrase, “Work with what you have,” hadn’t seen this outdated kitchen. Suspended cabinets were just the start of the problem. The kitchen’s floor plan was cramped and didn’t provide room for an upgrade, so designer Nathan Taylor and his team simply moved the kitchen. The whole home was enjoying an upgrade to make the layout more conducive to the lifestyle of the new owners. Creating a larger modern kitchen fit into the plan perfectly. The only hangup was figuring out where to relocate it. Luckily, the home’s sliver of a basement ran under the original family room. The easy access to plumbing and electrical meant the family room was soon gutted. As for that original cramped canteen, Taylor turned it into a powder bath and pantry. When one of the homeowners fell in love with white Corian countertops, Taylor used the durable surface as the groundwork for the rest of the design. “The white countertops meant we could use a softer color palette,” he says. So cabinets were treated with a soft gray stain that highlights the vertical pattern of the grain. Crown molding was ditched, as was most hardware throughout the kitchen. The absence of these common features allows the room’s simple and clean lines to pop. The austere design also allows the homeowners’ vibrant collection of serving dishes to act as centerpieces during dinner parties. To improve the kitchen’s workflow, Taylor installed the sink in the deep island, which offers additional seating. The small table at the end of the island was added for in-laws. Even the glass globe light fixture above the table was installed with them in mind and has its own switch, which allows the family to control the lighting in the kitchen. To give the room a little extra height to accommodate the new cabinets and crystal light fixtures, the ceiling was vaulted and equipped with a new support beam. “Everything was reimagined and new,” Taylor says. “This space is simple but contemporary.” It’s also an impressive upgrade the family can enjoy for years to come.—E.B. Photo by Jeremy Mason McGrawNathan Taylor draped the sitting area in a more formal style and arranged the furniture so guests could enjoy views of the landscaped backyard. PROJECT GOAL: Nathan Taylor needed to create a multi-functional living space where the homeowners could entertain and relax. They also needed a space that didn’t overwhelm their art collection. To create a welcoming and multifaceted space, Taylor let the extra-long living room breathe and used the extra space to his advantage. More isn’t always better. And in the case of this midcentury ranch, more floor space meant more questions about how to best use the living room. Lined with windows and a central brick fireplace, the living room is close to 40 feet long with towering ceilings. When the family first purchased the home, the space needed serious updating. A team assembled to tear out carpet, remove dark wood paneling, apply sheetrock and paint the walls and brick in a clean, bright white. The simple color scheme serves two purposes: It highlights the homeowners’ art collection and gives the room an even airier and more welcoming ambiance. Although most of the room’s upgrades were superficial, two features underwent significant changes. The first was the fireplace, which was painted white to match the walls. To balance the scale of the living room, the hearth was lengthened and covered by a massive slab of marble. The next elaborate change was done to the pitched ceilings. To update the space and bring in additional lighting and insulation, designer Nathan Taylor lowered the ceiling and removed the large wooden beams. Once the room’s walls and floors were updated, Taylor set his sights on filling the lengthy floor plan. With so much room to work with, Taylor sectioned the room into three sitting areas, the first of which is visible from the home’s entrance. With that in mind, Taylor draped the sitting area in a more formal style and arranged the furniture so guests could enjoy views of the landscaped backyard. The other two sitting areas include a more traditional and casual lounge where a sofa and leather chairs provide plenty of welcoming seating and views of the TV, which is situated at the far end of the living room. 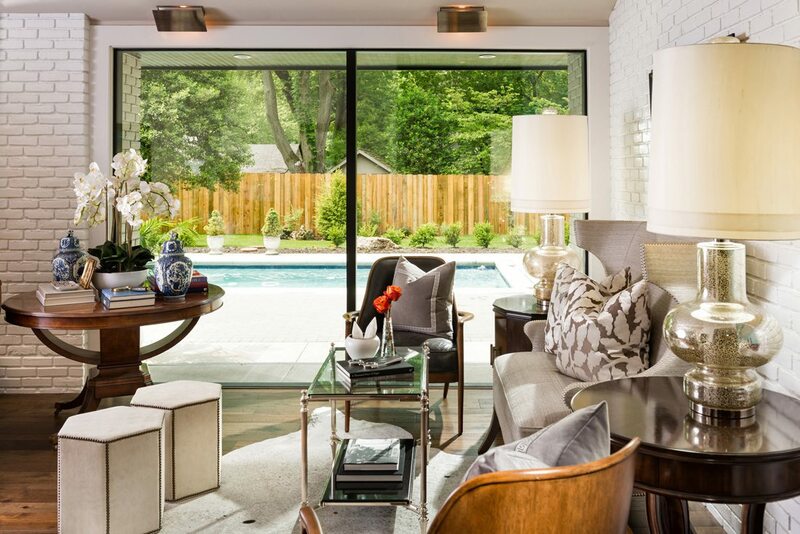 To direct foot traffic from the living room onto the back patio, Taylor swapped two of the original sliding glass doors for non-functioning ones. This created a dedicated entryway into the living room without losing any of the abundant natural light or scenic views of the backyard and pool.—E.B. Photo by Jeremy Mason McGrawThis table is so large, it took six people to maneuver it into the dining room. PROJECT GOAL: With a large extended family to entertain, the homeowners needed a comfortable gathering place that could serve many purposes. It needed to swing easily between elegant dinner parties and casual game nights, but it also needed to match the scale of the room with its vaulted ceilings. There’s nothing small or underwhelming about this dining room. From the vaulted ceiling to the colossal custom-built table and steel chandelier, this room’s decor is meant to set the stage for memorable gatherings. The heart of this design project rested on the family’s love of entertaining. What they wanted was a dining room where friends and family could gather around wonderful food and drinks without too much formality. It was a balancing act for designer Nathan Taylor. He had to match the grand scale of the room but create a welcoming and casual atmosphere without diminishing the owners’ personal style. He also had to keep the room’s dimensions in mind. While the dining room is not lacking in height, it’s limited in width. Using the room’s abundance of natural light to his advantage, Taylor installed hickory floors that reflect sunlight and make the room appear larger than it really is. The floors were treated with a gray stain made up of three different colors to hide dust and wear. To give the family a central gathering spot, Taylor began work on a custom-built table constructed in France. By the time he was done, it was one of the largest pieces his team has ever designed, measuring at almost 10 feet in diameter. The table is so large, it took six people to maneuver it into the dining room. Part of the table’s heft is its base, which is steel. And etched into the wooden surface is a subtle inlaid pattern that mirrors the steel base below. To give the table a slightly distressed look that would hide the scars of regular use, Taylor applied a finish of black, metallic and brown stains and paints. 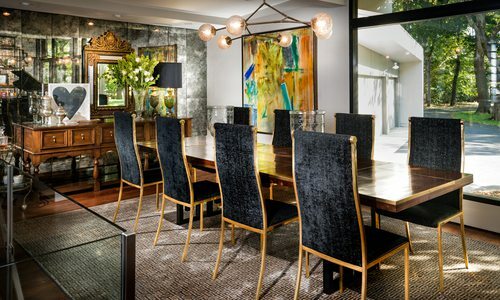 “We wanted a big barn feel, he says, “but we wanted plenty of glamour and elegance.” If there was any worry about coming up short on glamour, the steel chandelier Obelisk designed to hang above the table filled any shortcoming. A smaller version was even constructed and added to the stairwell leading to the lower level. The final product is a menagerie of styles that manage to flow and bounce off of each other highlighting elegance, glamour, comfort and modernity.—E.B. Photo by Jeremy Mason McGrawThe baskets are the endpoint for dirty laundry sent over by the pass-through shoot connecting to the boys’ bedroom. PROJECT GOAL: This was a two-part project. The first goal was creating a spacious laundry room that was enjoyable to work in. 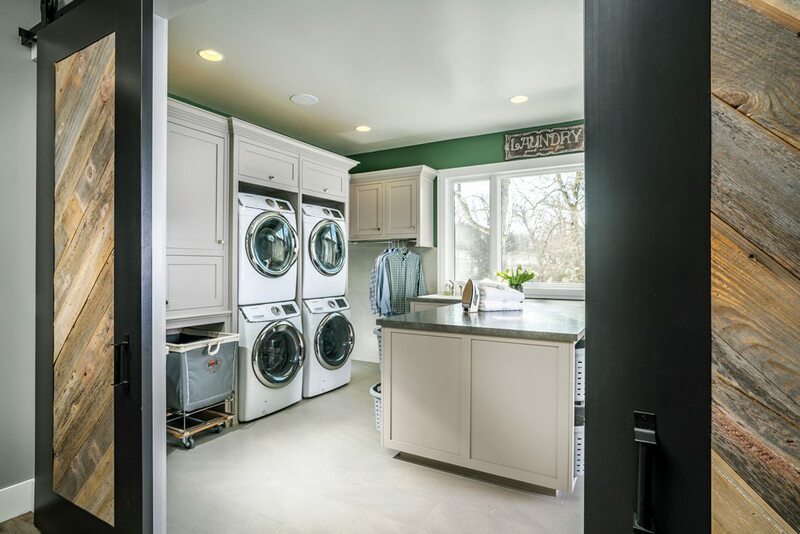 But because such a large chunk of the home’s footprint was dedicated to this space, Nathan Taylor needed to turn an everyday laundry room into a multifunctional room ideal for craft projects as well as laundry. When you have a family of six, you might not want your laundry room tucked in a closet or hidden in the basement. You might want a room where you can hit start on the rinse cycle, catch up on reading and help the kids with crafts all in the same space. If that’s the case, this is probably your dream laundry room. Thanks to bright colors, multiple entrances, plenty of space and natural light, this laundry room pulls double duty. It houses the family’s twin set of washers and dryers and is a great place for the family to gather for crafts and homework while tackling chores. To create a multifunctional room, Nathan Taylor incorporated custom-built features including shelving and storage above rolling laundry baskets found by the family. The baskets are the endpoint for dirty laundry sent over by the pass-through shoot connecting to the boys’ bedroom. Clean clothes can be folded on the generous laminate peninsula dividing the room. Laundry and storage is sectioned off on one side, and crafts and games are housed on the other side. To use the peninsula efficiently, Taylor designed special shelves for laundry baskets, each designated for members of the family. He also connected the laundry room and master bedroom with a corridor. “This room needed to function within the family’s daily routine,” Taylor says. That focus on functionality steered Taylor toward durable materials like the laminate countertops and large porcelain floor tiles. And that green wall color was an obvious choice for a family of diehard Notre Dame fans. The final touch was the sliding barn doors. The wood inset panels were reclaimed scraps from the family’s kitchen bar, and the doors were installed on an industrial-style track to give the feature a more modern look. Much like the room itself, the doors serve two purposes. They’re visually appealing, but they can also help hide a dirty laundry room when daily life gets a little too chaotic.—E.B. Photo by Jeremy Mason McGrawWith a clientele more focused on speed than cleanliness, designer Nathan Taylor and his team created a utilitarian and washable bathroom reminiscent of a high school locker room. PROJECT GOAL: The goal of this project was to create a bathroom that could sustain the demands of three young boys. The space needed to offer plenty of room and storage so the boys could all use it at once. The vintage locker room design created a space that met the needs of the boys while providing a style that will age with them. Bathrooms are often relaxing and sometimes glamorous retreats. But that all changes when you’re building a bathroom that has to meet the demands of three young boys. With a clientele more focused on speed than cleanliness, designer Nathan Taylor and his team created a utilitarian and washable bathroom reminiscent of a high school locker room. When the homeowners found a massive cast iron wash basin sink, Taylor designed a stainless steel base and handrail that doubles as the sink’s stand and inventive towel rack. With plumbing snaked along an exterior wall, Taylor’s team needed a creative fix to prevent the pipes from freezing. To provide extra insulation, the wall was furred out, which also created a useful ledge behind the sink for everyday storage. 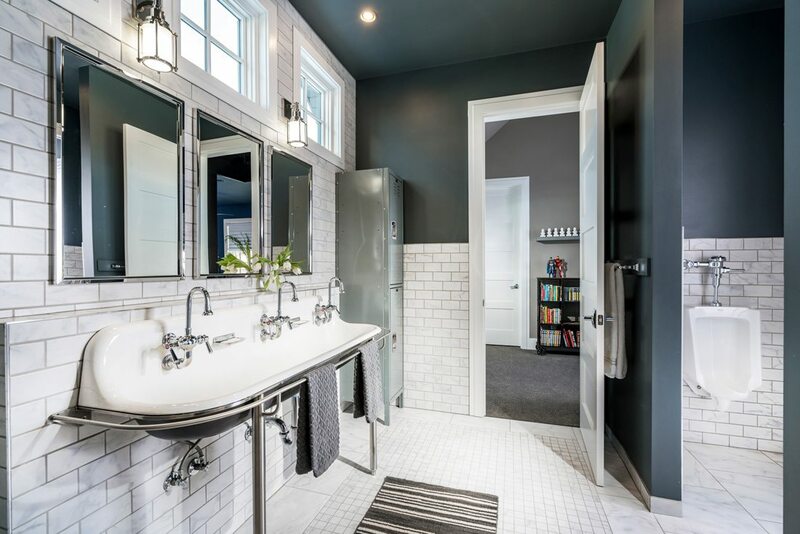 Keeping the color scheme simple and refined, Taylor used the same style of subway tile but in three different sized cuts to cover the walls and floor of the expansive bathroom. The addition of dark gray grout helps masks dirt and makes the room easy to clean. With no under-sink storage, Taylor added antique lockers the family found. For lighting, cage lights were installed to match the vintage style of the room, and overhead can lights were added because the room faces north, limiting the natural light.—E.B. We collected all 92 entries and sorted the gorgeous and innovative designs to send to the Atlanta Georgia ASID Chapter. A group of nine designers judged each project based on aesthetics, design skill and narrative explanation. We received the highest-scoring entries and our Creative Director, Heather Kane, toured each finalist’s home in person to take in the beauty and functionality for herself. 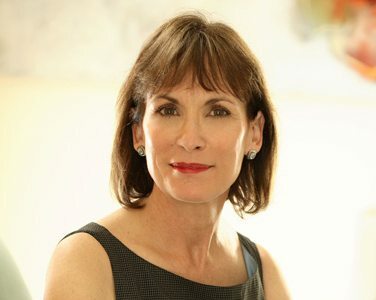 has since made a name for herself and for Atlanta-based J. Hirsch Interior Design. 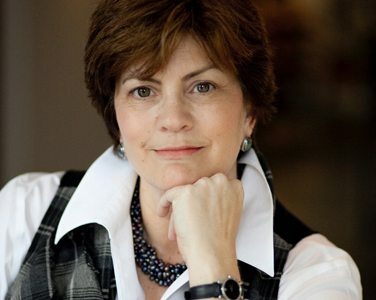 After graduating from Brenau University in 2001, Ann Wisniewski established AJW Designs, Inc. with her husband, John, an architect. AJW Designs, Inc. designs luxury residential and commercial projects both nationally and internationally. Her work has been featured on HGTV and in several publications including House Beautiful, Atlanta Homes and Lifestyles, Modern Luxury and Atlanta Magazine. Steve Hart is a principal at HLGstudio. Having completed numerous high-profile and award-winning projects, he is best known for his ability to connect with the human element—designing to support his clients’ brand and culture. Hart also has a commitment to the industry outside of the office. He has taught at both A.I.U. and Georgia State University and serves on the National Board for ASID as Director at Large. 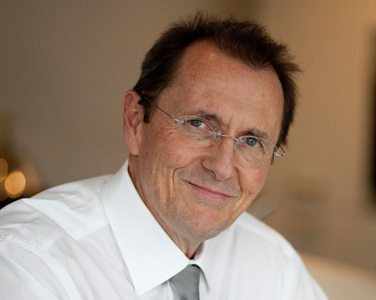 Edward Alshut is a founding principal of Studio A2 LLC, an architecture and interior design firm with an award-winning portfolio of commercial, institutional, corporate and residential work. He met his life and business partner, Shawn Alshut, at the Master of Architecture program at the University of Texas. Edward is currently an invited mentor at Savannah College of Arts & Design Masters of Interior Design Program. 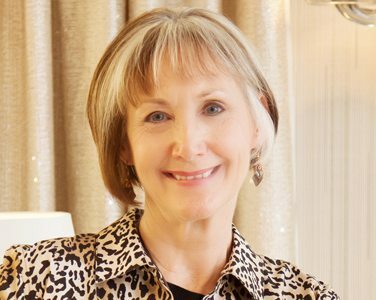 With a degree in a Liberal Arts and Sciences from Fischer College, and interior design certification from the QC Design School, Dina Peterson has been working as a design consultant and stylist for several international companies. She has always found ways to be creative in all her endeavors on the job and in her own personal life. She has always been an interior design, architecture and art enthusiast. Maria McLaurin is known for the calming, peaceful expression in her design. 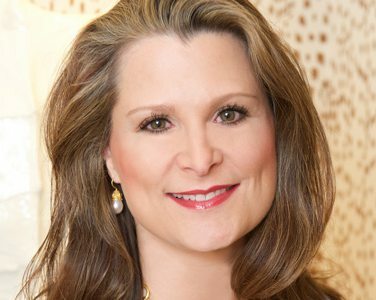 As the principal of McLaurin Interiors, she has designed residential interiors throughout the Southeast and won numerous ASID Design Excellence Awards. McLaurin is a graduate of Brenau University with a Bachelor of Fine Arts in Interior Design. In 2015, she received a Masters of Innovation Award as a representative of her alma mater. 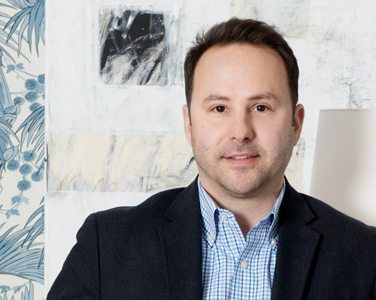 Chris Socci founded C. Socci Inc., a full-service Atlanta-based interior design firm working with both residential and commercial clients. His work has been recognized with the Design Excellence Award from the American Society of Interior Designers in 2016 and 2017, ASID design excellence awards and Modern Luxury Faces of Design 2018. 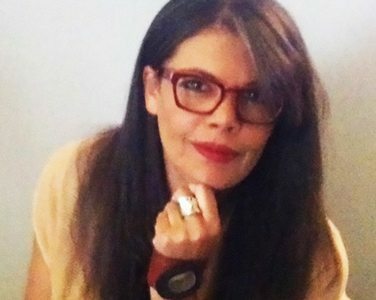 Socci is currently the President ASID Georgia. 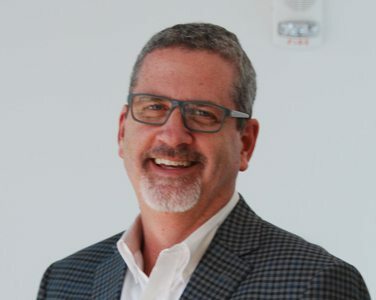 Shawn Alshut is a founding principal of Studio A2 LLC, an architecture and interior design firm with an award-winning portfolio of commercial, institutional, corporate and residential work. She met her life and business partner, Edward Alshut, at the Master of Architecture program at the University of Texas. Shawn is a Past President of the ASID Georgia Chapter and is on the Board of the Museum of Design Atlanta. 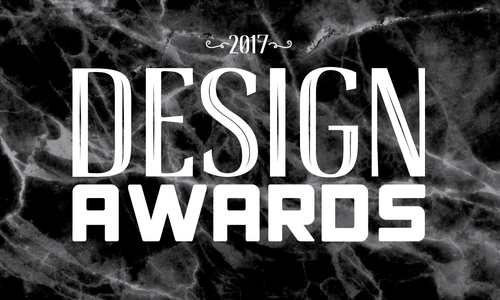 Where to get your paws on the materials used in the winning projects.